At Technalink, we’ve already made it clear that we firmly believe that compassionate leadership is a key part of being a better leader and ensuring that your business grows and evolves into a business that you can be proud of. And there are numerous ways to go about being more spiritual and using compassionate leadership on a regular basis – including many that are only becoming available in the last few years. Harnessing technology can help in a huge way, and social media is one of the best tools that you can use to be more compassionate. If you’re unsure of just why that is, here’s a look at some of the ways that social media can help you become a more compassionate leader. • Use It To Set Up Support For Employees – Employees often have questions or want to feel more like they are part of a community when working for any business. Social media allows you to set up groups that can be used to connect employees, which in turn can help you connect with them and be more compassionate in all that you do. • Use It For Better Communication – Sometimes, the key to being a better leader is communication. Use social media to create a group for you to interact with employees, let them message you through it, and more. Just be sure to always be professional when using it for communication and you’ll be able to become a more compassionate leader. • Connect With Others With Similar Goals – You aren’t alone in your quest to become a better leader. Social media is filled with groups that are for those who want to be more compassionate or introduce soulful leadership to their business, and connecting with them online can help you share ideas, support each other, and more. Join these groups and get engaged in them and you’ll get better results from your efforts. 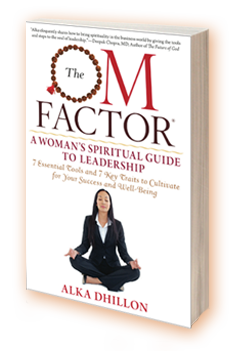 • Find More Tools – From meditation to prayer beads to guides on how to master compassion and soulful leadership techniques, social media is filled with the resources that can help you. These are just a few of the ways that you can use social media to master compassionate leadership and become a more spiritual, soulful leader. Doing so can help your business in a huge number of ways, each of which can give you a brighter future for your company and help you be prouder of what you bring to it.